JetBlue is continuing its expansion into the Caribbean with a new route between New York and the dual-island nation of Antigua and Barbuda. It comes as no surprise considering the islands’ 365 beaches and recent designation as the Caribbean’s Most Romantic Destination by the World Travel Awards. The flights leave New York’s Kennedy Airport three times a week, on Tuesdays, Thursdays and Sundays, and arrive at the new international terminal at V.C. Bird Airport in Antigua. Travelers depart JFK at 9:20 a.m. and arrive on the island at 2:32 p.m., just in time for cocktails on the beach or by the pool. Return flights are conveniently timed to give travelers a little more time in the sun, leaving at 3:33 p.m. and arriving at 7:18 in the evening. 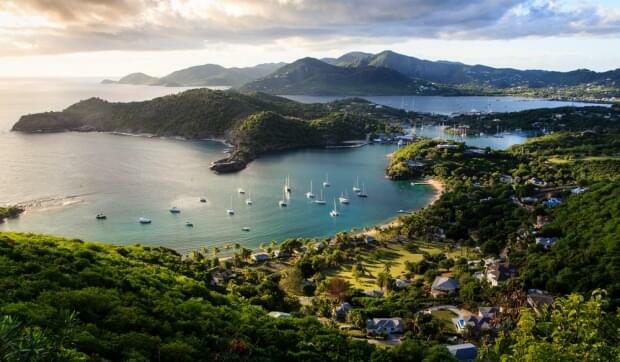 Antigua and Barbuda each have something different to offer travelers. Barbuda, known for its beautiful unspoiled beaches, is less populated and better for those looking for quiet seclusion, natural wonders and a little underwater exploration. Do you like to explore caves? Then this island is for you. There’s plenty to see, including Two Foot Bay, where you can find huge caves, complete with ancient drawings on the walls, and beautiful panoramas of island. If you’re into pirates, you can hire an experienced diver to take you on a tour of shipwrecks hidden beneath the ocean. And if you’re up for a hike, The Darby Cave Sinkhole, complete with trees and wildlife, is popular among visitors. 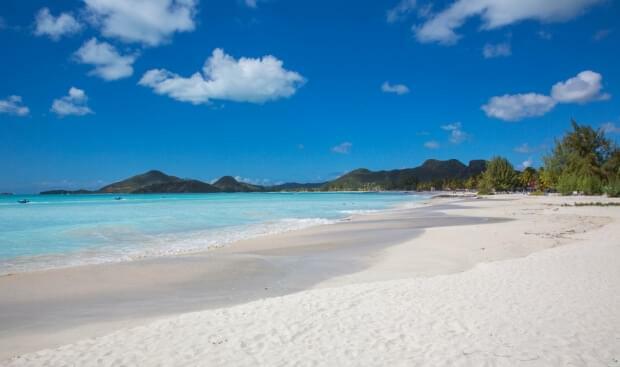 Antigua has more than its fair share of beautiful beaches and romantic resorts. But there are lots of other things to do besides the beach. If you want to wander around a local market, smell the flowers and perhaps sample some local produce, then the St. John’s Saturday Morning Market is the place to go. History buffs will find Nelson’s Dockyard National Park and Betty’s Hope, the island’s first sugar plantation, fascinating sites. Like Barbuda, Antigua has its share of natural wonders. Devil’s Bridge is a natural limestone arch located where the Atlantic Ocean meets the Caribbean Sea. Make sure you check out the nearby natural blow holes, which shoot sea water into the air when weather conditions are just right. A visit to the bridge is free, and there’s beach where you can go for a dip and cool off.